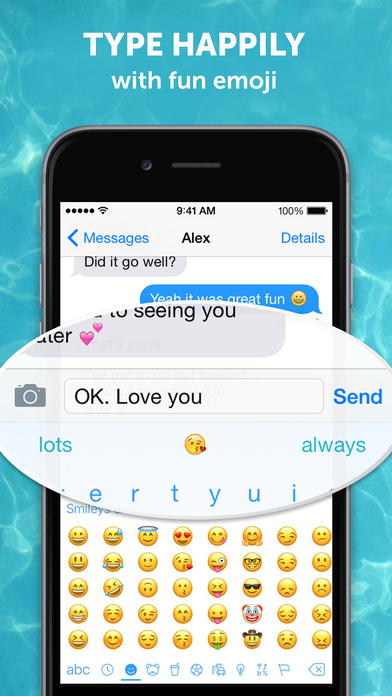 SwiftKey Keyboard for iPhone, iPad and iPod touch is a smart keyboard that learns from you, replacing your device’s built-in keyboard with one that adapts to the way you type. The app learns your writing style to give you super-accurate autocorrect and intelligent next-word prediction, reducing keystrokes and getting smarter over time. SwiftKey Keyboard is loaded with features to make typing even easier, including multilingual typing and speedy swipe typing with SwiftKey Flow. 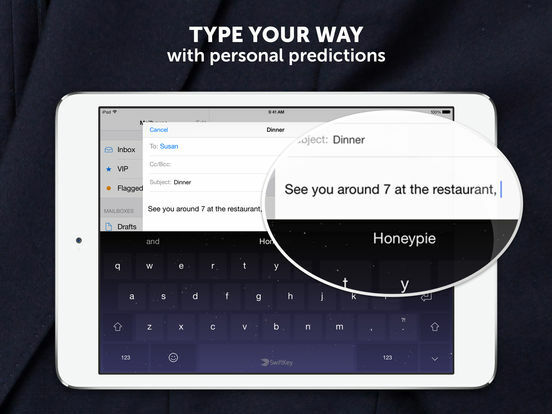 SwiftKey learns your writing style to predict your next word with uncanny accuracy. 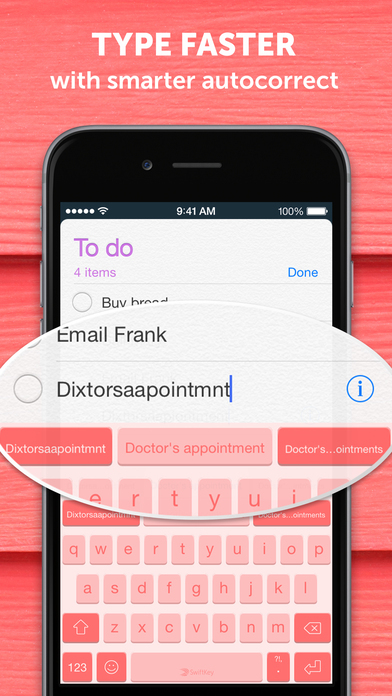 Autocomplete a whole word with a single tap, instead of typing letter by letter. 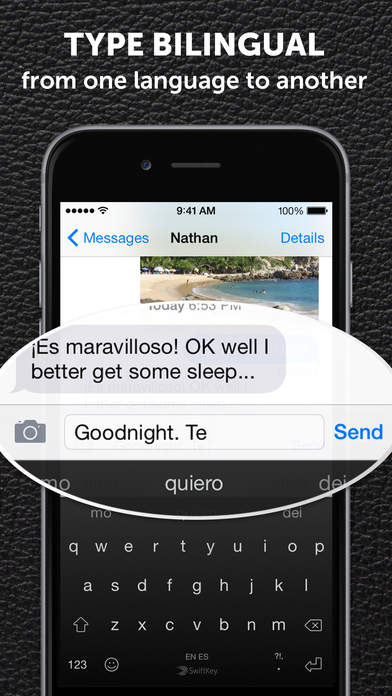 Say goodbye to typos with autocorrect based on your personal writing style. SwiftKey even inserts missed spaces for you. 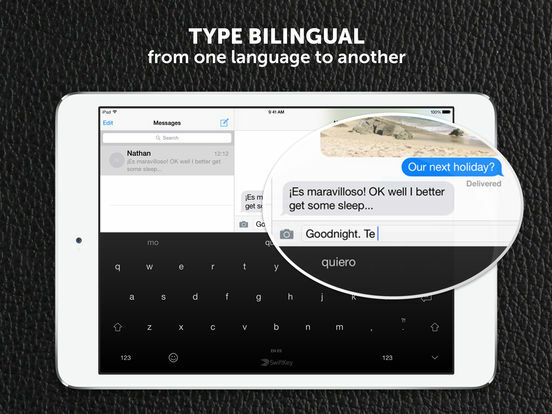 Type in up to two languages at once, without changing any settings. 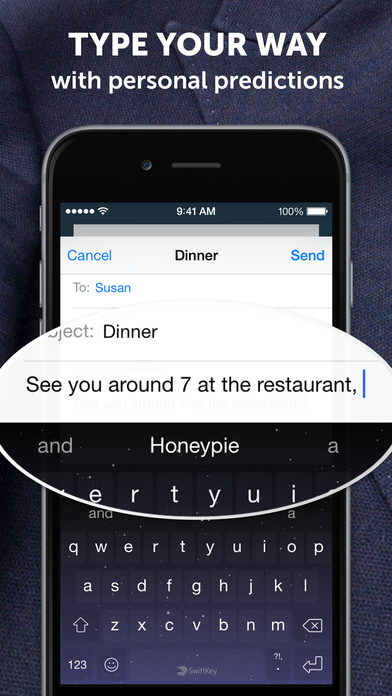 Sign up for SwiftKey Cloud to make SwiftKey even smarter in just seconds. Supports iPhone, iPad and iPod touch devices running iOS 8 and above. 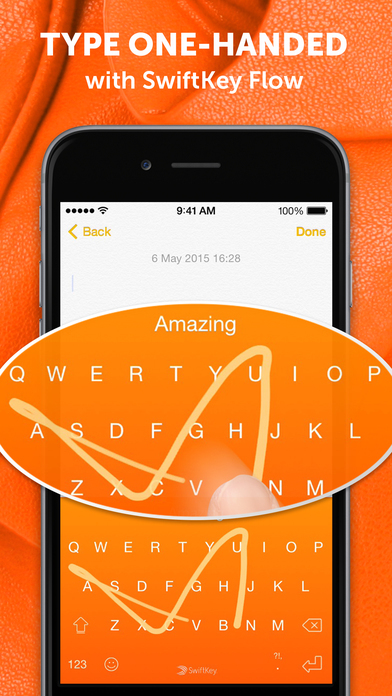 *SwiftKey Flow is currently only available on iPhone and iPod touch. SwiftKey Keyboard for iPhone, iPad and iPod touch is a smart keyboard that learns from you, replacing your device’s built-in keyboard with one that adapts to the way you type. The app learns your writing style to give you super-accurate autocorrect and intelligent next-word prediction, reducing keystrokes and getting smarter over time. SwiftKey Keyboard is loaded with features to make typing even easier, including multilingual typing, support for over 800 emoji (emoticons) and speedy swipe typing with SwiftKey Flow. 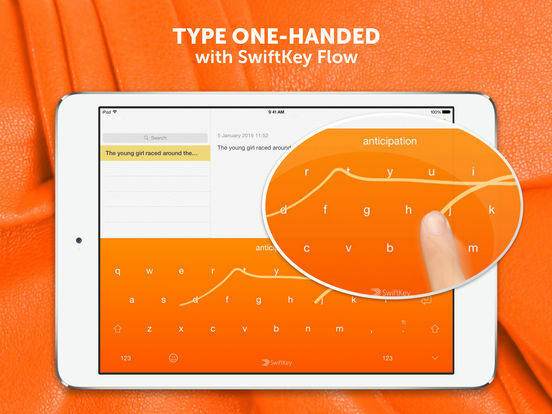 Choose a different way to type by sliding from letter to letter with SwiftKey Flow. 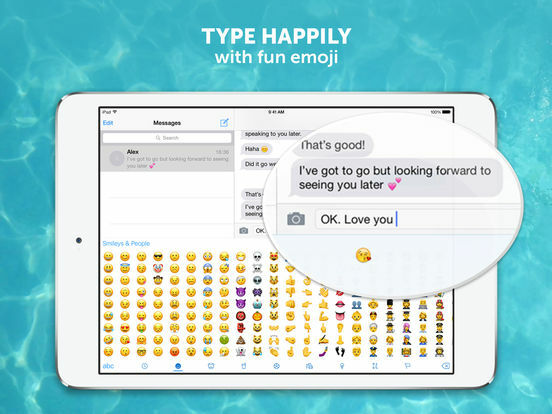 Spoil yourself with over 800 emoji characters to enhance your words. Supports iPhone, iPad and iPod touch devices running iOS 9 and above.